It’s no surprise that the Nebraska Cornhuskers, a team that has led the NCAA in attendance the last four seasons, would be the top team in attendance for the first two rounds of the NCAA Tournament. What is a bit of a surprise is that the teams with the second best attendance were Wichita State (based on weekend total) and/or Creighton (based on percentage of capacity filled). Wichita State did finish in the top 10 of attendance over the course of the regular season, coming in exactly at 10th. The average attendance at that point was 2,700. In the two NCAA Tournament matches, they drew 7,257 and 7,258 in succession. Part of it was due to the Shockers first time hosting in the postseason, while also having nearby Kansas and Missouri in the pod likely helped skyrocket the attendance as well. 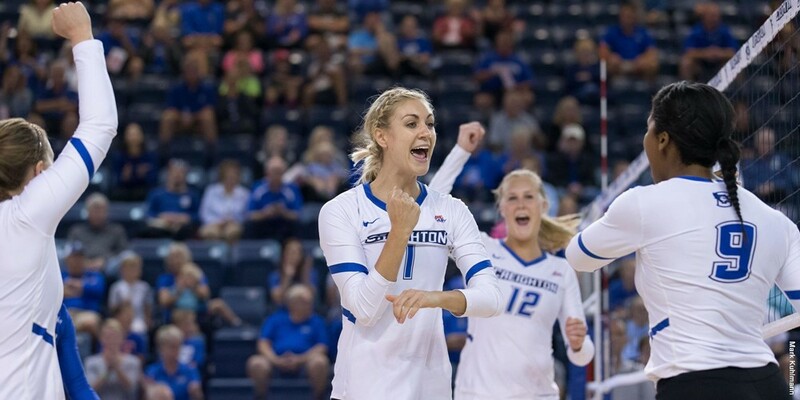 For Creighton, they were 22nd over the course of the season in attendance, but were a bit handicapped if you are just looking at total because they have a volleyball specific arena. That contrasts with other schools like Wichita State and Iowa State, who don’t get as much of the percentage filled even though they have bigger crowds since they play in basketball stadiums. It’s important to note that total isn’t everything though. That’s why Anderson’s percentage number weighs in heavily as well, because some schools only have 2,500 capacity arenas, but fill them to the brim which can make a loud and close-knit environment. Still, it’s interesting to balance both total and percentage here. It’s also of note that by total, Wichita State had the second best attendance while by percentage it was Creighton. Not only are the non-powerhouse schools filling up the stands, but it also shows a trend of Midwest schools getting strong attendance. Nebraska, Wichita State, Creighton and Iowa State all drew over 6,000. Compare that to some of the west coast schools and you see the difference. For instance, the entire two match crowd from UCLA, USC and Stanford combined was less than one round for Nebraska or Wichita State. It’s a bit unfortunate no Midwest schools are hosting for the Regionals now, as Nebraska was just eeked out by Kentucky. Still, the Wildcats did extremely well in attendance while Penn State, another host, did above their average – which was already very good. Meanwhile, Florida and Stanford did well below their season average of attendance, so it will be interesting to see what the numbers look like this week.